Does Temperature and Barometric Pressure Affect Joints? Are the Weather and Joint Pain Related? When your great-aunt from Farmers Branch said she “feels” a storm coming on, she was probably predicting the weather with some accuracy. 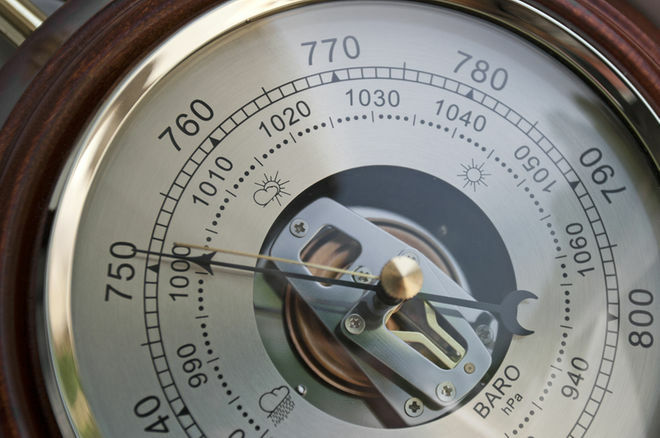 Barometric pressure is the weight of the atmosphere that surrounds us. Barometric pressure often drops before bad weather. Lower air pressure pushes less against the body, allowing tissues to expand. Expanded tissues can put pressure on joints and cause pain. The Arthritis Foundation published a study from Tufts University in 2007 that found that every 10-degree drop in temperature corresponded with an incremental increase in arthritis pain. In addition, low temperatures, low barometric pressure and precipitation can increase pain. Researchers are not sure why weather changes cause pain, but suspect that certain atmospheric conditions increase swelling in the joint. For more information, visit arthritis.org. Although research conclusions are mixed, anecdotal evidence from patients and most experts support a link between the weather and joint pain. Depending on the severity of joint pain, patients should see their orthopedic specialist at Direct Orthopedic Care (DOC) to create a changing-weather treatment plan. As for weather-related pain, it hurts, but it’s only temporary. Your joints should return to normal as soon as the barometric pressure increases and the temperature goes up. Your great aunt may be able to predict calm weather, too, as she feels less joint pain.